Tax season is over — good news for accountants, but also for dental practices. Why? Tax refunds spur healthcare spending for many Americans, a new study suggests. Here's what you need to know. In the week after they receive their tax refunds, consumers' total out-of-pocket healthcare spending rose by 60%, and spending remained elevated for about 60 days, a study by JPMorgan Chase. Better yet: nearly one-third (32%) of this additional healthcare spending went to dental practices. What's more, the majority (62%) of the additional healthcare spending triggered by the tax refund was paid in person at healthcare providers. In other words, that's potential income your practice could enjoy immediately, without having to wait for insurance providers to pay claims. How can you benefit your patients (and your business bank account) by encouraging patients to get needed treatments they've been putting off? Reach out to patients as quickly as you can. Using Lighthouse patient communication tools can help. Go through your patient records to find patients who haven't yet scheduled recommended treatments, patients who haven't been in for regular hygiene appointments, and patients who have expressed interest in cosmetic dental work. Then create targeted email messages for each type of patient. Lighthouse 360 has attractive email templates you can use, and makes it simple to group email recipients in customized lists, so each patient gets information about their specific interest or concern. Lighthouse patient communication software can also send customized recall emails and letters to dormant patients to get them back in the office to use that tax windfall. 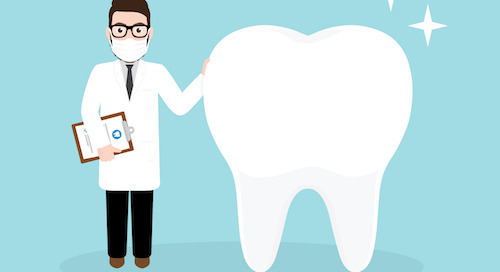 For patients who rely on extra money for their tax refunds to get dental treatment, financing or monthly payments may not be the best option. Instead, consider offering limited-time discounts or special promotions on certain treatments to encourage patients to pay in full while they have the money in hand. Money is a concern for most patients, especially for procedures such as cosmetic dentistry that aren't covered by insurance. To get over this hurdle, work with your patients to discuss their needs and budget. Then come up with a treatment plan that will make the most of their tax refund by prioritizing the most impactful procedures. Need more guidance? Check out these tips to increase case acceptance, ideas for marketing cosmetic dentistry procedures, and ways to attract more patients this summer.